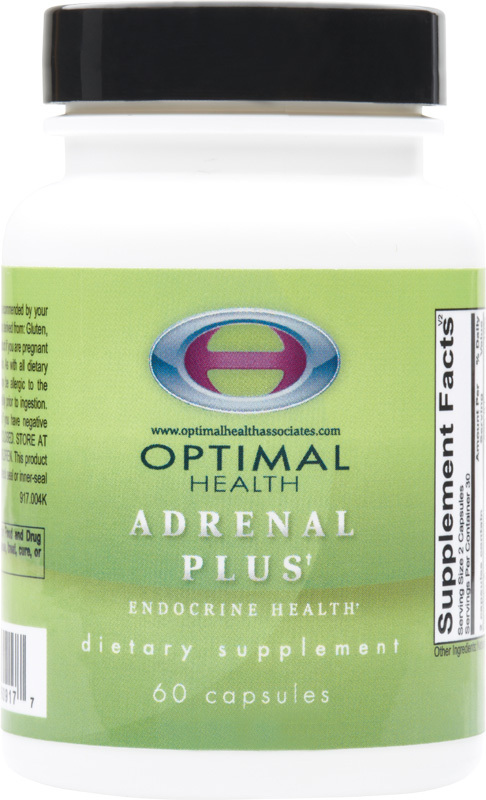 Adrenal Plus contains a blend of key micronutrients and adaptogenic botanicals specifically formulated to strengthen the body’s stress response and support healthy energy levels. Adrenal Plus provides targeted amounts of vitamin C, pantothenic acid and other B vitamins that are critical to adrenal gland function. Adrenal Plus also provides a unique blend of “stress adapting botanicals” which help increase the body’s resistance to fatigue and maintain balanced cortisol and DHEA levels.